Kozhikkode: In a new twist to the sensational murder case of Sr Abhaya, police official KT Michael has been added to the list of accused for taking part in the conspiracy and destroying evidence. The directive was given by the special CBI court in Thiruvananthapuram while hearing a petition of social activist Jomon Puthanpurackkal. Jomon appealed to include the staff of the court in the list of the accused for destroying evidences which was not entertained by the court. The court also rejected the petition of Michael who sought further probe into the case for lapses on the part of former CBI official Varghese P Thomas. 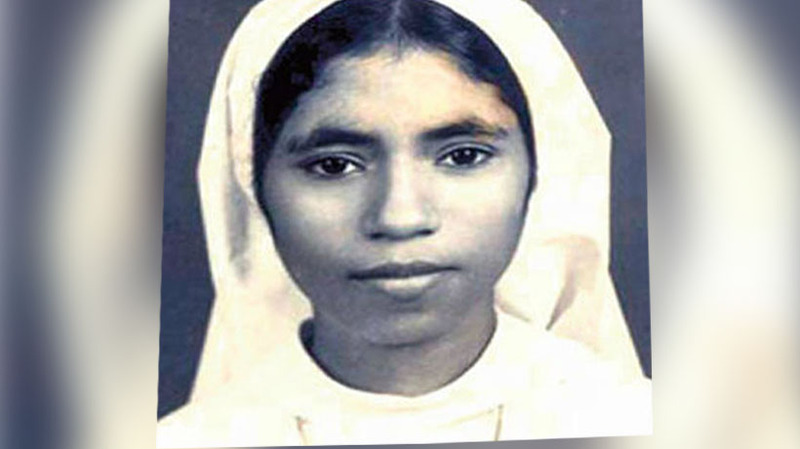 The body of Sr Abhaya was found in the well of a convent on March 27, 1992. The local police probed the case for 17 days and concluded it as suicide. The crime branch probed for over nine months and backed the suicide theory. The case then went to CBI which failed to get any lead as the evidence went missing. The court ordered probe by a new team which concluded that it was a murder but failed to trace the culprit. A third team conducted many scientific tests and zeroed in on two priests and a nun who were arrested on November 19, 2008. On July 17, 2009, charges of murder and destruction of evidence were filed against the three, Fr Thomas M Kottoor, Fr Jose Puthrukayil and Sr Sephy.